In a recent article on how to know if you are in the lanes or not, we received a question (below) in the comments that has come up before. We answered there, but expand a bit here with actual links. "Rule 10 (j). A vessel of less than 20 meters in length or a sailing vessel shall not impede the safe passage of a power-driven vessel following a traffic lane." Does this rule apply to ANY "power-driven vessel following a traffic lane", or just to power-driven vessels >20 meters which are using the shipping lane? There seems to be a lot of confusion about this situation in the Sound. There are two key references that answer your questions. First is the full set of Nav Rules, and we have a super convenient document online called Starpath Pocket Nav Rules Handbook. 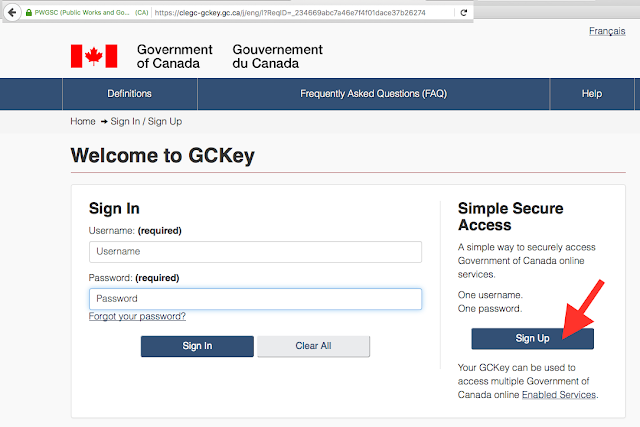 You can use it for quick reference with all related documents in one place—in fact, they are all on one webpage. You can also save it to your phone. 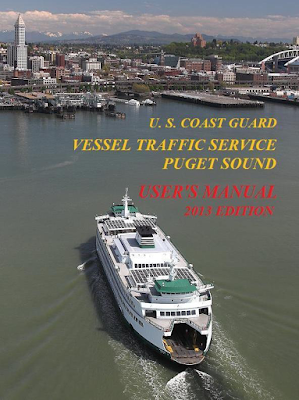 The next key document is the Puget Sound VTS Users Manual, which very specifically addresses points raised in the questions. This is a very useful document for all Pacific Northwest boaters. In Rule 10 (j) the statement “following a traffic lane” means a vessel in full participation in the VTS, which in practice are ships and tow boats, and other larger commercial vessels. The key part of their full participation is their scheduled radio contact with the VTS center, along with actually following the lanes. These vessels are to be contrasted with vessels that just happen to be in the lanes at the moment, but later or earlier along their voyage they take other routes that do not follow the lanes. The vessels you refer to are not "following the lanes," they just happen to be in them at the moment. 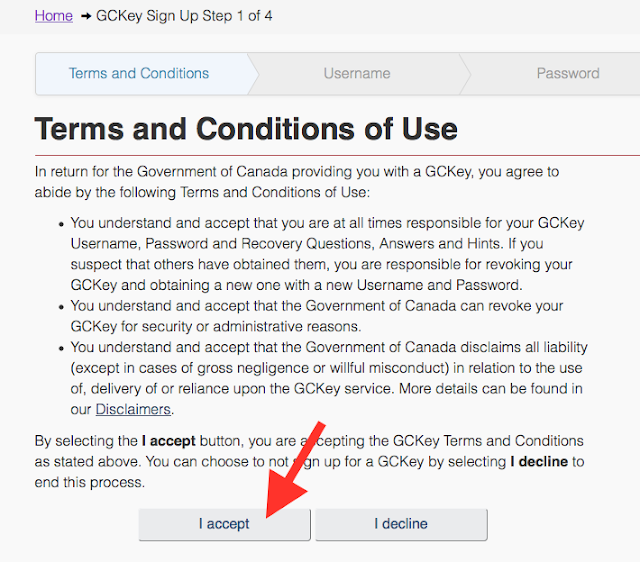 The User's Manual explains who is required to have full participation and who may participate and under what conditions they may do so when not required. The fact that the track of a vessel is parallel to the lane, inside or outside of the actual lane boundaries, is not the key factor when interacting with a vessel clearly not required to follow the lanes with full participation. So the answer to that is NO, and again using the lane is not the issue; it is participating in the VTS that matters, which is here called following a lane. Assuming neither are “following the lanes” as described, these are just two vessels interacting in open water that has lanes defined in them, in which case normal crossing rules or sail-power rules apply. On the other hand, if there are indeed ships following the lanes in the near vicinity, then both of these vessels must not impede them. Non-participating vessels are encouraged to use the inshore zones, not the lanes themselves, which would minimize such three vessel encounters. Again, we have the same answer. I can see there could be confusion about the wording, but I believe that once these points here are noted this should remove that confusion. In other words, if you are not in full participation with the VTS, which in almost all cases, you would not be doing unless you are a vessel required to do so, you gain no special rights when sailing in the lanes, regardless of your course. When you see other vessels not following the lanes in this sense, you interact as you would in open water, assuming there are no ships near by, as they then become, in the wording of the Racing Rules (whether or not you are actually racing), obstacles to your course. We are standing by for discussion if it might come up. This note was originally about ENC type echarts alone, but it turned out that the process of buying, registering and downloading the echarts is the same for both ENC (vector) and RNC (raster) echarts, so I have changed the title of the note, but not the body of the text, which still reflects the original motivation for the article, which was ENC. When it comes to the actual installation, however, these two chart types from Canada are quite different, because of an extra layer of encryption applied to the RNC. 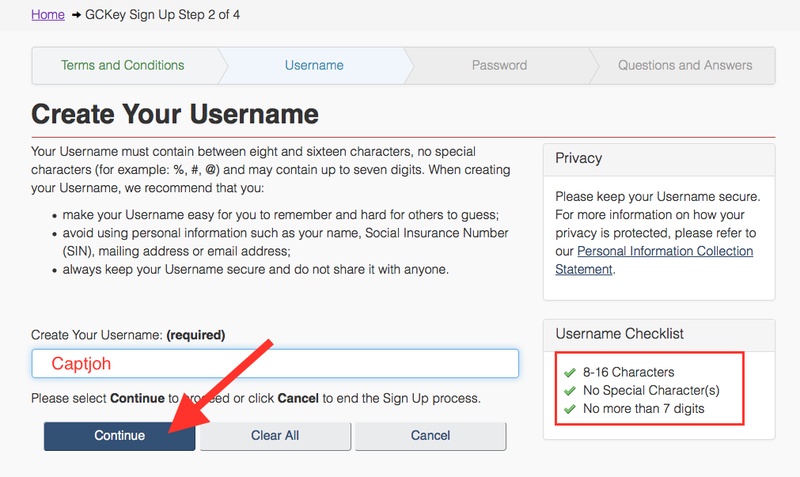 Also looking ahead a bit, we see below that the process is a bit long, and has to be done in the right order, but once this part has been done and you have a username and password with CHS, subsequent registrations and downloads are very easy. The RNC install, however, is another issue and we will have to come back to that later. The ENC install is very simple. In an earlier note on the Naming and Boundaries of ENC eCharts, I discussed the unique situation of needing one specific Canadian ENC if we wished to use all ENC in the Eastern Strait of Juan de Fuca, as might be the case, for example, when using Expedition for the Swiftsure or Victoria to Maui Yacht Race. This note is a follow up on that one. 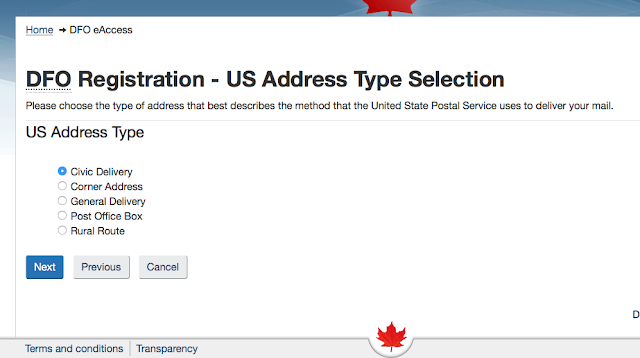 In process of working with individual copy protected Canadian ENC, we learn quickly how lucky we are in the US with free echarts and super convenient access. It is all doable, but frankly tedious, and indeed there is no help online nor available from their telephone tech support. The phone support can help with BSB raster charts, but not the ENC, though I suspect now that the process is in fact identical for Canadian ENC and RNC. This process is outlined in detail below, because the right path is not obvious, and any wrong turn spins out into a dead end. (1) Choose the chart you want from the very useful CHS Interactive (graphic) Index (save the link, it is not so easy to find.) The single chart at hand at the moment is CA470075, which they label with its paper chart name: V-3440 - Race Rocks to/à D'Arcy Island. (2) Buy the chart. 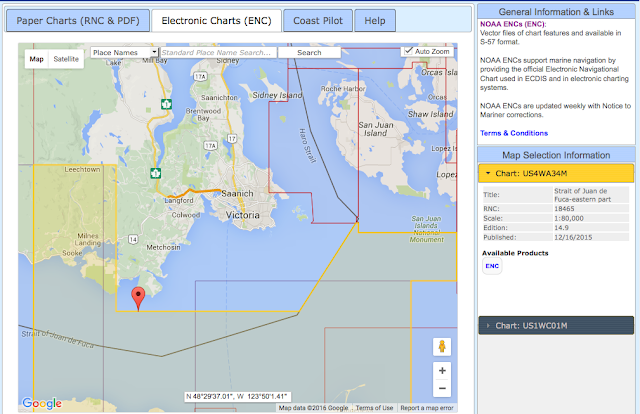 In principle there are numerous dealers of individual Canadian echarts, but the only one I found that could actually sell this is our friends at Captains Nautical Supply. In principle, this could all be done over the phone. After you buy it you will get an email back from Captains with this information. The original prices are quoted at CHS in Canadian dollars as $25, which I assume this is as well. Figure 2. 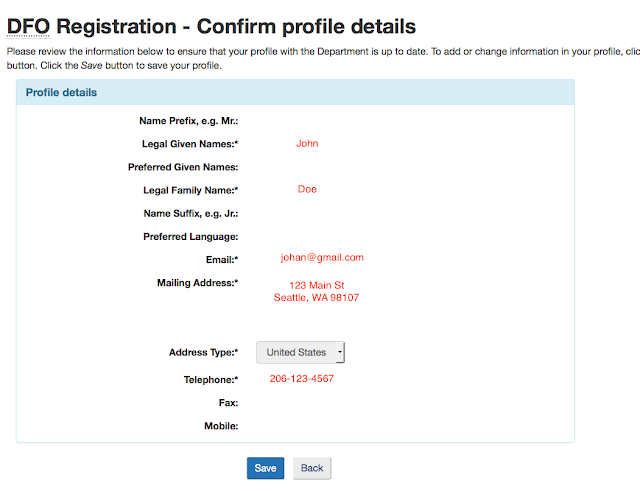 Link to where you register and download. 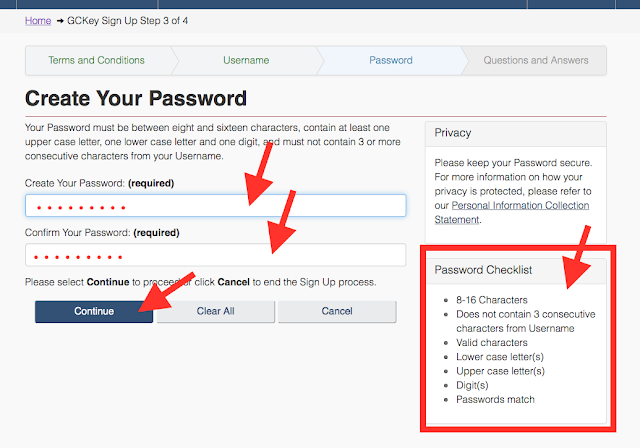 (3) Register the chart, which takes place in several steps: we set up two accounts, download the chart, and install the chart. Here are the steps, with apologies again for what seems maybe over explained, but one wrong step and it breaks. 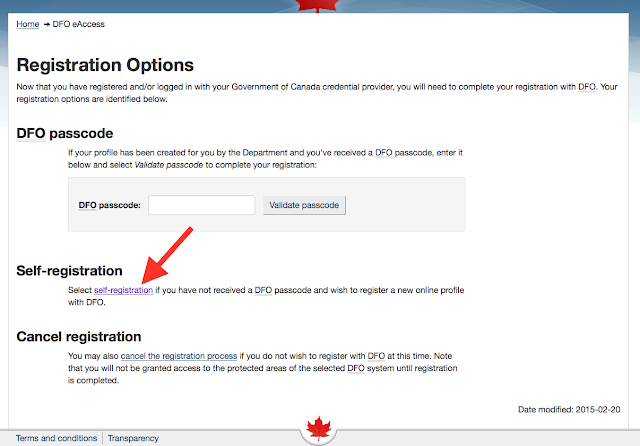 We start with the link provided by CHS when we purchased the chart (https://register.chs-shc.gc.ca), which actually takes you to a different link: https://inter-j01.dfo-mpo.gc.ca/registry-registre/. We are getting early hints here that we have to stay sharp, ie there are two sets of instructions originally mailed to us that both go to the same link, which is not actually the link they go to. This takes us to Figure 4, and we then go direct to the bottom link. It is not clear what the top part is referring to. 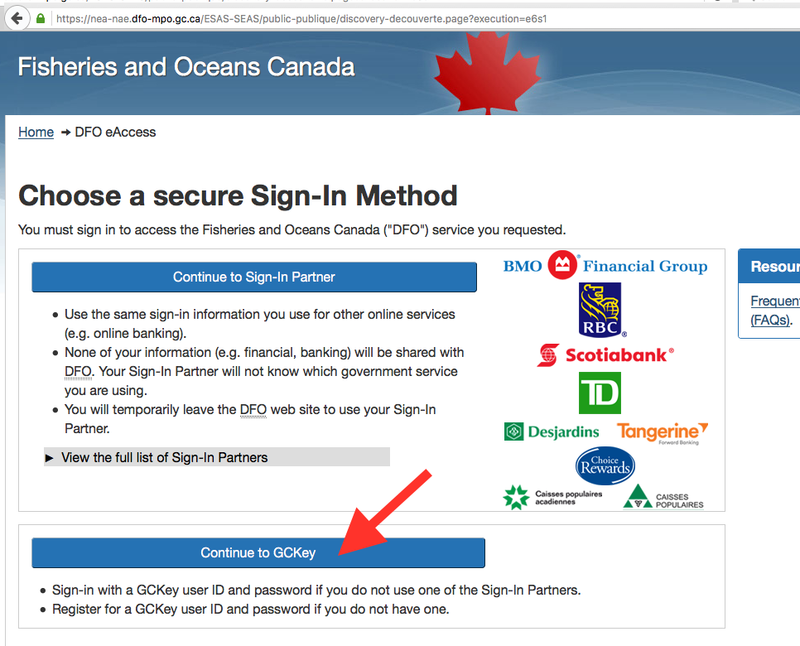 I think GC means Government of Canada. 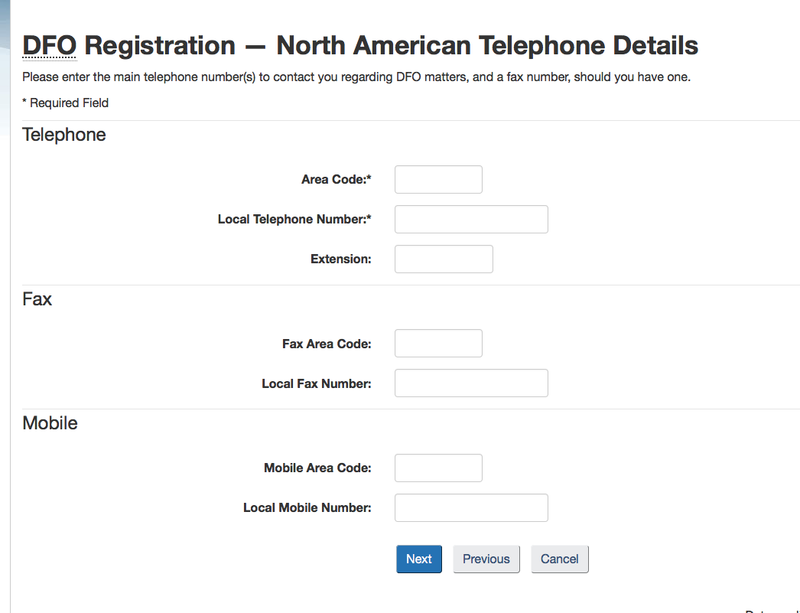 If you have already in the past registered, you can log in here, but if not we now start the process of setting up an account with the Sign Up link on the next page. NOTE they have strict rules on names, hints, questions and answers. I have marked these in red boxes. IMPORTANT NOTE. Be sure to save this information so you can regain your login if needed. 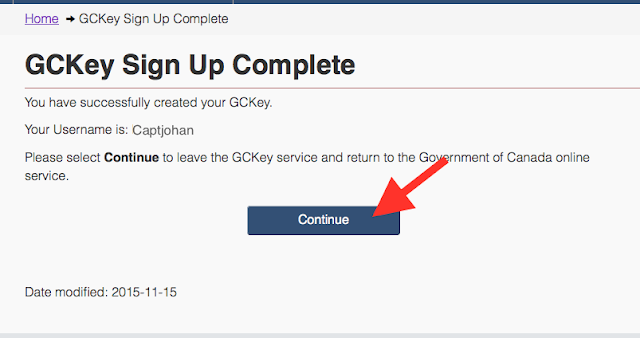 IMPORTANT NOTE: If you delay very long at any page you will get the following message when you hit Next or Continue. I am not sure how long you have, but it is not long. Maybe just 5 min or so. 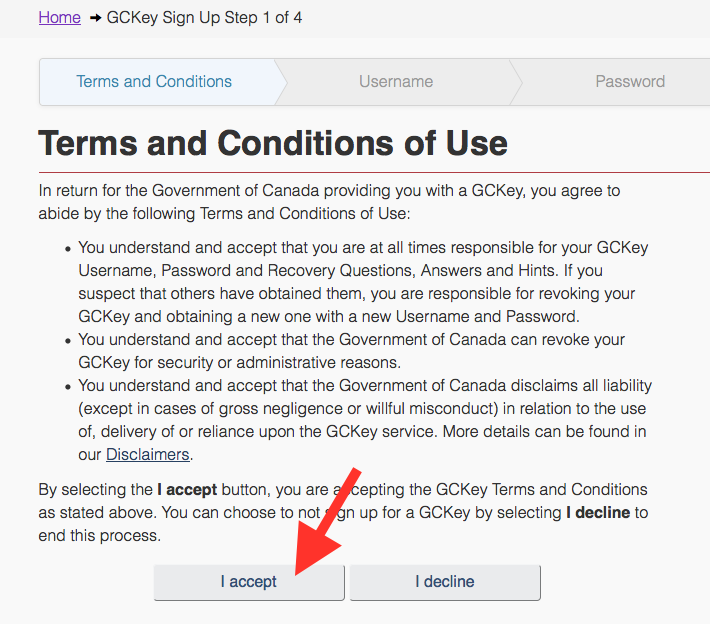 If you get this at the end of the process, as I did once trying to record all of my answers etc, it is very discouraging. You get to start all over. With no errors, the Figure 10 Continue button will take you to Figure 12 below. 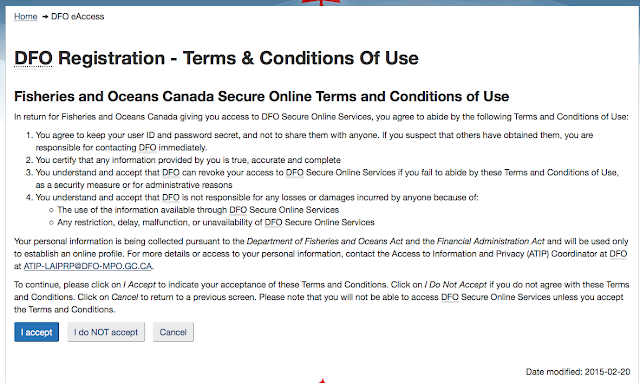 Looking at that one, you will not have received a DFO passcode as so far we did not give any email address. So in this window you will choose Self Registration. After choosing Self Registration, you get the screen below and now we can start the real registration. 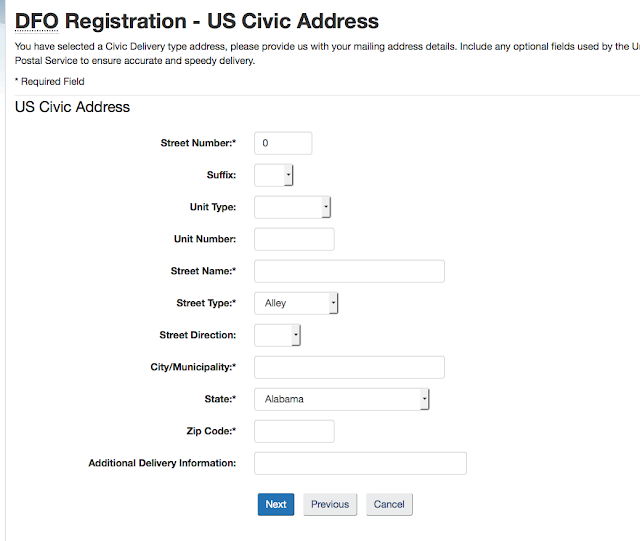 NOTE in the form below (Figure 16) you must enter a Unit Type, even though it is not marked as required. 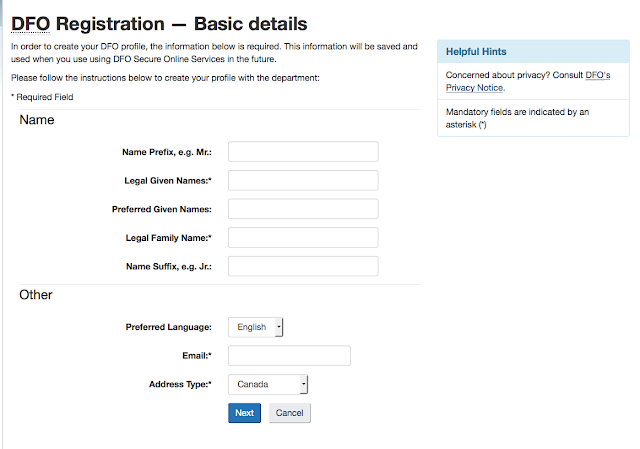 The next figure is a summary of your registration information with CHS. Print this or save it as a pdf, as you may need it to recover the chart or a login. Maybe a call to them would get it, but not sure. 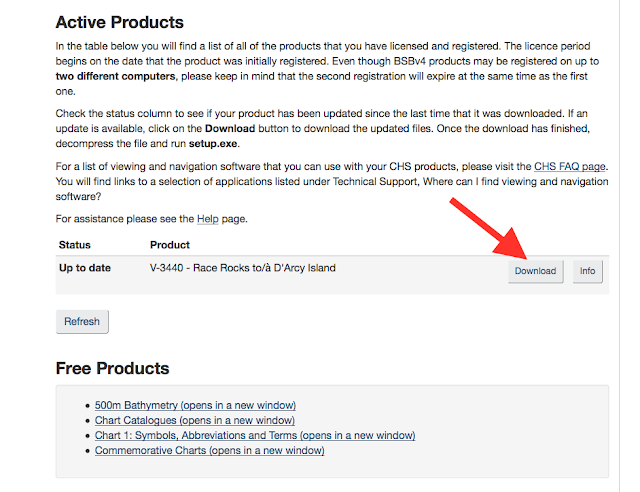 Then when you save this, you will be back to your products page, which will not have any, and you can add them. 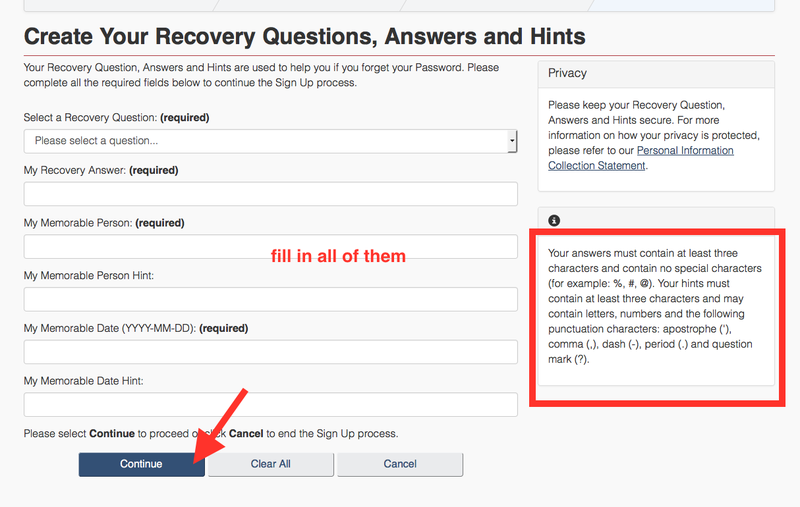 If you do not get sent back to the next page below, then just start over and on the first page (Figure 5 above) enter your Username and password selected earlier, and you will get here. This is where you paste in the code for that chart that was mailed to you. NOTE in the above we do not use the link License a Product. 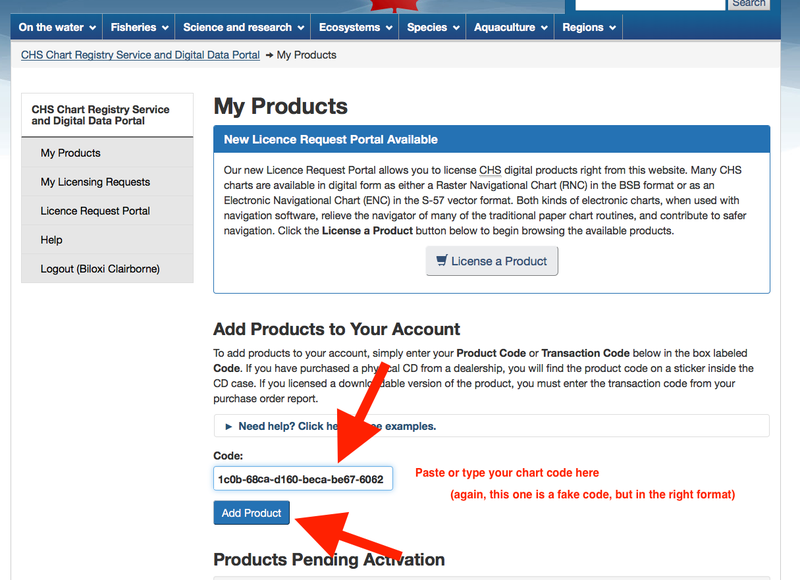 After you add this product, the same page will then have it listed further down the page under the section Active Products. 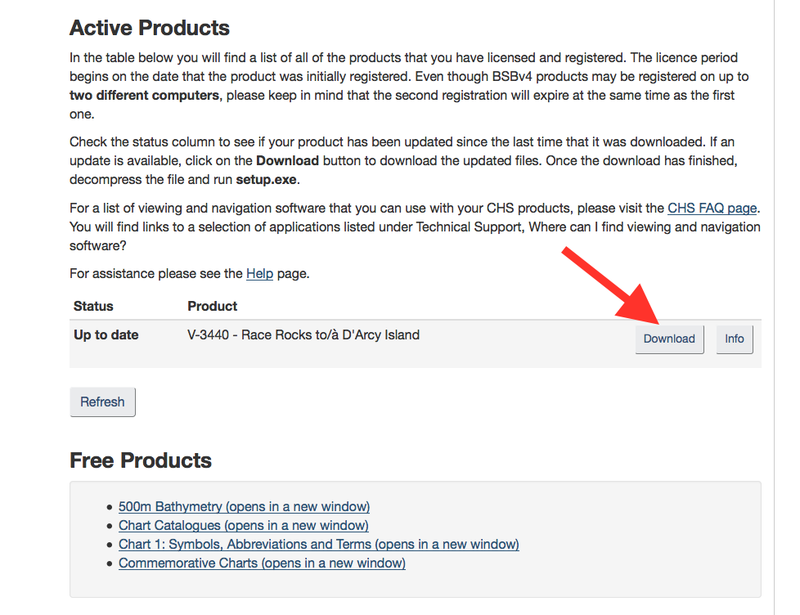 And it is here where we download the chart. IMPORTANT NOTE. It might take several clicks. Click it once and wait a few seconds. If nothing happens, try again. In one test I had to try 3 times, and this behavior has been confirmed to me by other users. But be sure to give it 5 or 10 seconds between clicks. And then we get our chart, which you just save to your downloads folder. This zipped file is then all standard ENC format. It is easy sailing from here on. Again, if you need another copy for another computer, you can start from the beginning and just log in. Below is a video on how to install this ENC into Coastal Explorer, along with related notes on using this program to select, download, and install US ENC. In a recent article (The Strange World of Electronic Chart Boundaries) I pointed out the unusual nature of the shapes and names of electronic navigation charts (ENC), which are the digitized vector versions of the raster navigation charts (RNC). The latter are echarts made from exact graphic copies of the paper charts, and in that sense their sizes, boundaries, names, and scales are immediately understandable to anyone familiar with the paper charts. This is not at all the case when we move to the vector ENC charts. There were several questions raised in that note that have taken more research. In short, that note just described the situation without providing any reasons for it. Since then I have made progress on understanding these ENC properties, thanks primarily to good support from NOAA's Office of Coast Survey (OCS), who do indeed care about the best use and understanding of their products. There are two basic factors that lead to the unusual properties we end up with on the presentation of the ENC—I am not discussing the content of the charts at all here, just the issues of size, shape, boundaries, and scales. First, the US ENC are made from the available RNC. That is, to make a vector chart of a region, step one is bring out the largest scale RNCs of the region, and then digitize these products in a standard ENC format. Digitizing means converting a curved shoreline or depth contour into a sequence of straight line segments and storing a data base of these points, which is then included in the ENC files we load. Then an echart program can draw the chart on the fly each time we change a display scale or move to a neighboring or overlapping ENC. It is a complex process to make these, but much of the data are already digitized and all new survey data comes in digitized as well. Then at the location of each aid to navigation (ATON) the data describing it are entered into another data set included in each ENC. (Though probably not so well known, the header file components of RNC kap files include the precise Lat-Lon of each prominent aid as a georeference point of the RNC, which insures these are in the precisely right place to match the Light List and latest Local Notice to Mariners; recall RNC and ENC are updated as needed every week or so.) It is this step of the ENC production that could add much more ATON information than possible on an RNC, and often this is the case—but not always. In the case of rock symbols, for example, the ENC descriptions sometimes include less information that we can get from the rich set of RNC rock symbols described in Chart No. 1. That is the way the ENC are produced, but they cannot be published in this direct one-to-one relationship between a new ENC and the long established RNC, which brings us to the second factor affecting the ENC boundaries we see. The reason they cannot be the same is the International Hydrographic Office (IHO) has standards on these ENC echarts that all participating nations must follow, and the US is indeed a participating member [see References]. This situation has pros and cons. The main con is, the US does not have complete freedom to produce ENC in any scheme they might deem most logical based on our RNC system. The main pro is we end up with charts that match an international standard that better serves the thousands of foreign vessels that visit the US each year, and indeed then makes foreign ENC familiar to US mariners visiting their waters. The primary IHO restriction that affects the boundaries and scales of US ENC is no ENC can overlap an adjacent one within the same scale band. That brings us to a key factor in understanding the boundaries of ENC, namely the concept of scale band or usage band. The IHO defines 6 usage bands, and recommends the scale ranges that each of these bands should cover. The table below summarizes these as best I can tell. These definitions are useful for selecting charts in catalogs and for understanding the names, and in turn the ENC boundaries we see in navigation programs. The US values do not coincide with the IHO values because the US had been making these ENC before the IHO made their recommendations. The British Admiralty ENC is marked with a footnote [*] because although they do use the IHO values for their own ENC, they do not use the name Scale Band, but more often prefer Usage Band. I think the reason for that is they have a vast worldwide chart distribution network (they distribute the charts made by other nations), and different nations have different definitions of the actual scales in each usage band as shown. The Canadian one is notably different. The scale band is a key to understanding the names of all ENC. In the case of US products, the first digit after “US” is the scale band. Thus for the chart we discussed earlier, US5WA18M, the US means US product, and the 5 means this chart has a scale band 5 (i.e. between 1:5,000 and 1:50,000). The WA means the chart is either wholly within the state of WA or when covering overlapping states, the majority of the chart is in the state of WA. Scale bands 3 to 6 are generally associated with a specific state. Bands 1 and 2 are often labeled: EC (for East Coast), GC (for Gulf Coast), and WC (for West Coast), but there are some overlaps in these descriptors with the state descriptors. We can think of the “M” as a reminder that the native units of these charts are metric (although we can display them in other units if we choose), or we can think of it as a filler since all ENC worldwide must be 8 characters long—I would have to agree that dealing with an extra M is better than dealing with leading zeros. The fact that the actual sequence of numbers (i.e. the 18) do not always follow a logical sequence along a waterway is just a matter of history in the production sequence, much as the chart numbers of the RNC are not in any particularly logical order. If anything, the ENC are more often in sequence than the RNC counterparts. The first two (scale bands 1 and 2) can overlap as they are different scale bands, but none of the three band-2 charts can overlap. Likewise the last two here (band 5) cannot overlap and will change charts at a specific line. The NOAA Online Interactive Catalog is the best way to study this, short of having the built in convenient presentation of Rose Point navigation software, mentioned earlier. Note too that the US ENC chart numbers are only unique within state designations and scale bands. Thus in our US5WA18M example, we can have a US4WA18M as well as a US5OR18M, but there are never two charts with the identical name. The IHO paper chart categories are also shown, in part to show these are broad categories with no definitive boundaries. In my own experience, I tend to think of 1:40,000 to 1:80,000 as "medium," being between "large" (less than 40k) and "small" (more than 80k). It is not clear if this difference in scale range definitions between our traditional paper charts and modern ENC has any significance. It certainly provides navigation schools and USCG exams nice ways to make trick questions, but probably not much more than that. 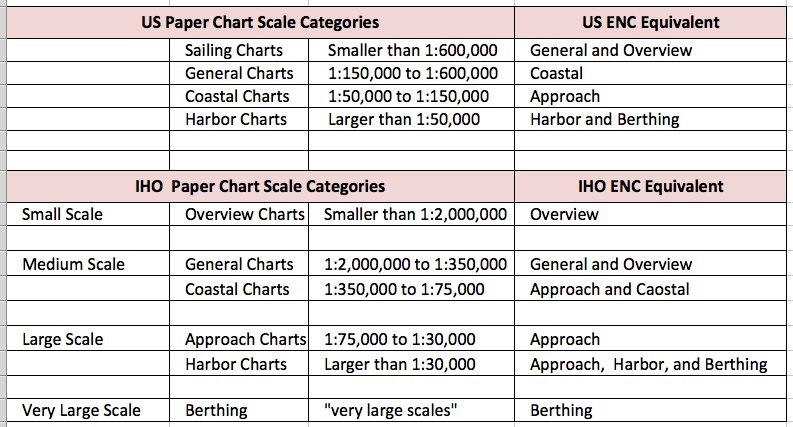 The standard US paper chart classifications never had, to my mind, much influence on practical navigation, but the new ENC scale band system does indeed have a meaning, i.e. it determines the third character in the name of any ENC, worldwide. It could be that the upcoming new edition of Bowditch will address this matter. So now we can go back to our example from the earlier article to see why the boundaries of the ENC equivalent to RNC 18474 (ie US5WA18M) are what they are—again, the NOAA Online Interactive Catalog is the best way to follow along. When NOAA sets out to cover the ENC charting of the region covered by 18474 (scale 1:40,000), they start out by digitizing the largest scale RNC charts that cover that region. In this case, the north half of this chart is covered by RNC 18449 at a scale 1:25,000. (The south half of 18474 does not have any larger scale over the bulk of those waters.) These are both scale band 5, so to meet IHO standards this chart must be broken up. They cannot overlap, so that breaks up the region into two parts 5WA14 and 5WA18. Then we notice that RNC 18449 also overlaps RNC 18450, which is scale 1:10,000, which is also scale band 5, so it cannot overlap and has to be separated out. Thus we are building up the irregular rectangular shape of the ENC. The same thing takes place to the south with overlapping 18448 and 18453, both also in scale band 5. Note that the Port Orchard and Gig Harbor charts, which are also in scale band 5, are not cut out because they lie wholly within their respective ENC cells. They do not “overlap,” meaning part in and part out. Individual ENC charts are often referred to as "cells." We are left then with just two points raised in the first article, namely the confusion that might arise from the ENCs internal description of the corresponding RNC given for each ENC. These will always correspond to the name of the RNC that has the largest overlap with the ENC that is of the same scale. There will not often be a close correspondence, and in fact this formula for the internal description of the ENC can often be notably wrong, as in the case of US4WA. 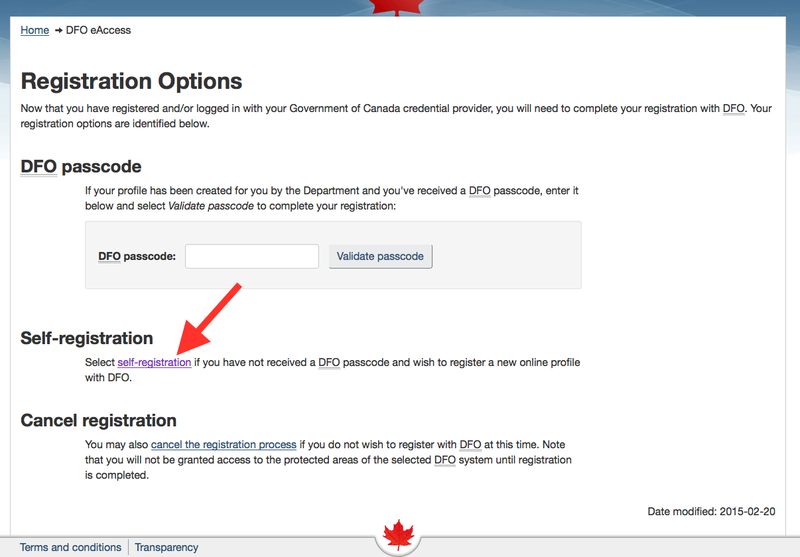 OCS is aware of the confusion this might cause in some cases, and they are considering solutions. It is a big project, however, to name these more precisely. In principle, an algorithm could be written to make these names more realistic. For now the key point for mariners is to simply understand this limitation when reading the ENC descriptions that their echart programs reproduce. They are not making this up, this is what the ENC says it is. The other issue is the area of missing US ENC in waterway between Victoria and Race Passage, covered by US RNC 18465 or Canadian RNC 3440. This waterway is all Canadian waters, which must have contributed to the results at hand. But we still have the unique situation that an American vessel could sail from an American ENC of Haro Strait’s Canadian waters toward Race Passage and onto another US ENC, but have to cover up to 23 nmi without any US ENC. It is not unprecedented that US ENC cover Canadian waters, but in this case we are forced to use the Canadian ENC, because of another IHO requirement that no two Nations can make an ENC of the same waters within the same scale band. This means the US had to cut out a section (now the missing part) of the US ENC equivalent of 18465 (called US4WA34M) and mariners must now use Canadian ENC called CA470075. This was a direct conflict of overlapping scale bands (note the 4 in each chart name) from two nations, both of which had previous ENC of this region. This particular cell is now covered exclusively by Canada as a direct result of negotiations between the US and Canada about how they were going to meet the IHO standards along all of their long and complex common borders. In short, this is a compromise in these negotiations. This situation stands out because many commercial vessels, as well as some racing yachts, prefer to use the same source of ENC, which is not possible in this unique case. We need the Canadian ENC of these waters, CA470075. Individual Canadian ENC were not available in the past, but as of a month or so, they are in principle for sale. This one has a price of CND$25. 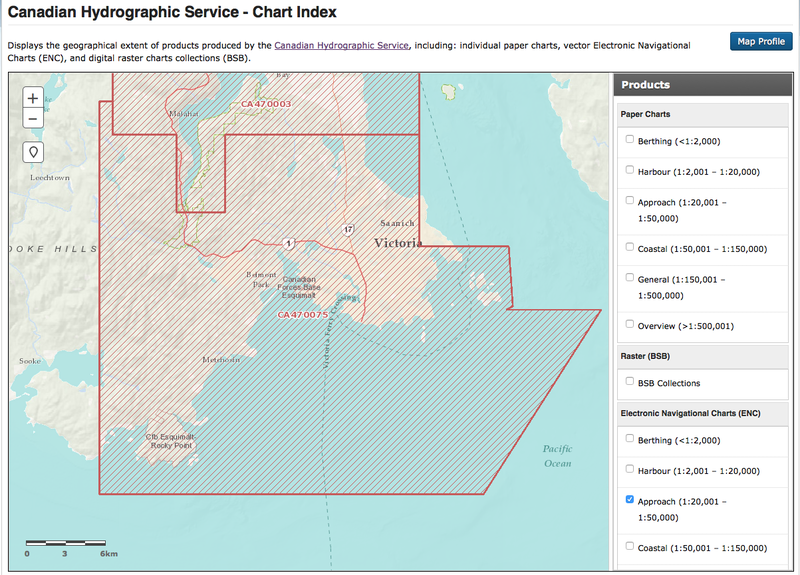 It can be seen on Canadian Hydrographic Service Interactive Chart Index, which is good way to view all of their charts, print and electronic… but save that link. It is hard to find. 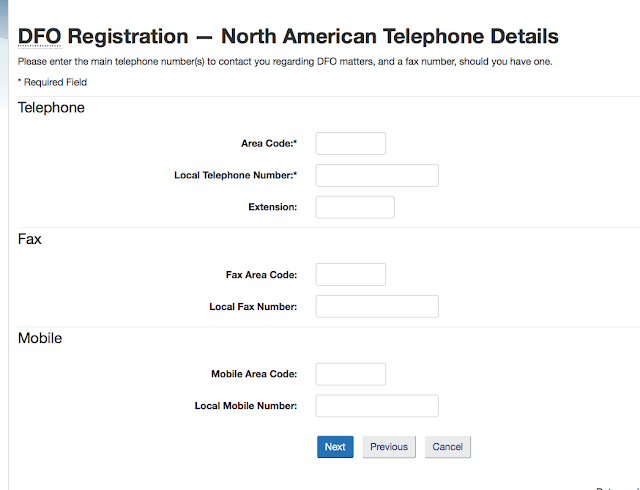 I have purchased this Canadian ENC from our friends at Captains Nautical Supply and have documented the registration process, which is not entirely obvious. There are also there several videos on how to install the chart of a couple echart programs. 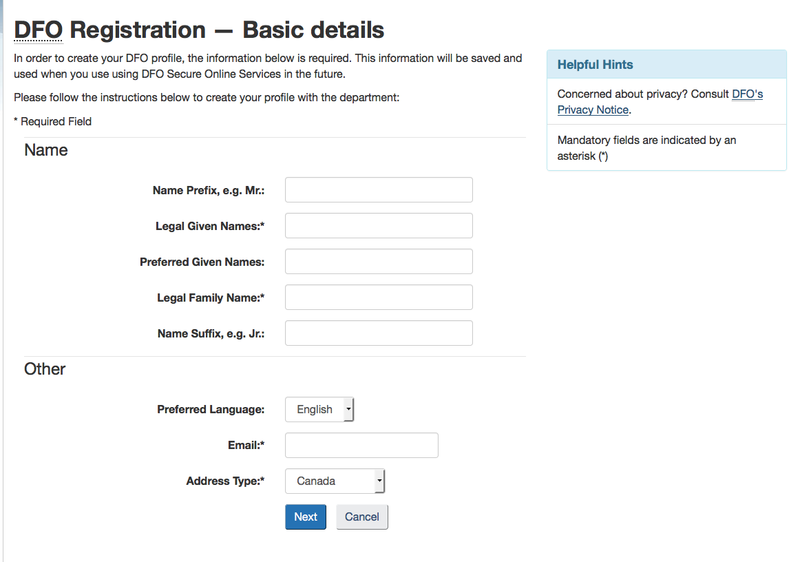 I would like to make a special thanks to Steve Soherr of the Customer Affairs Branch at NOAA's Office of Coast Survey. He has helped me and many others with charting and related questions many times over the years. The above notes, however, are my interpretation of the resources, and any misunderstanding or misstatements are my fault alone. The key acronym at IHO for the topic at hand is WEND (worldwide electronic navigational chart database). S-57 Interactive Object and Attribute Catalog (www.s-57.com) Takes some patience, but it is all there! The specific case of Pacific NW waters.